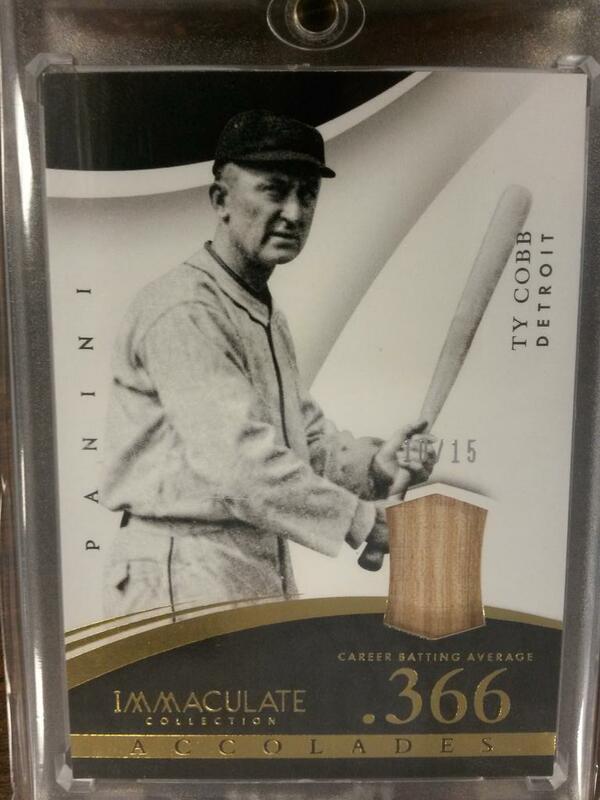 2015 Panini Immaculate Baseball ($185 per box) stole the show at Sports Cards Plus, a.k.a. The Super Hit Factory last Friday. Why not Saturday? Because we sold out of our initial shipment of 6 cases in less than two hours after UPS arrival.......... Don't worry we have two shipments arriving Monday and Tuesday. But don't delay 2015 Immaculate Baseball won't last long. Call 210-524-2337 to reserve your box. The picture above is what Chris H. pulled from our first case, which included a Babe Ruth Jersey 10/10, Lou Gehrig Jersey #d/25, Nolan Ryan Auto #d/5, Roger Clements Auto #d/3, two Kris Bryant Autos, Dustin Pedroia Auto 1/1, Adrian Beltre Auto Jersey Button 1/1, Billy Hamilton Jersey Laundry Tag #d/5, Joel Embiid Immaculate Basketball Auto RC 1/10, and two Andre Dawson Autos each #d/10. Chris S. arrived just in time to see the amazing hits Chris H. pulled from 2015 Immaculate Baseball and decided to give it a try. Here are Chris S' favorite hits. That's right; both Chris H and Chris S each pulled The Joel Embiid Immaculate Basketball Auto RC numbered to 10. Chris also pulled a Kris Bryant Quad Memorabilia Piece #d/25 and a Carlos Correa Auto Sweet Jersey Patch RC! 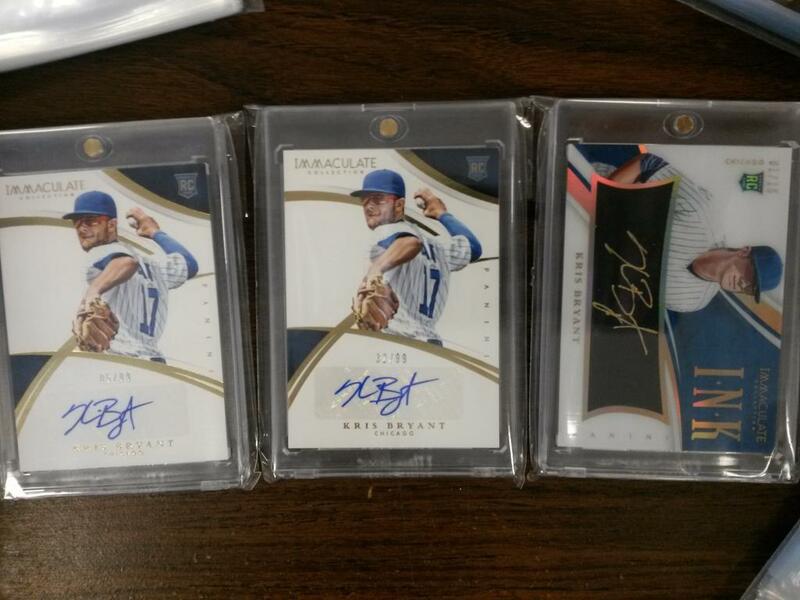 Chris H decided to try a few more boxes of 2015 Immaculate Baseball. 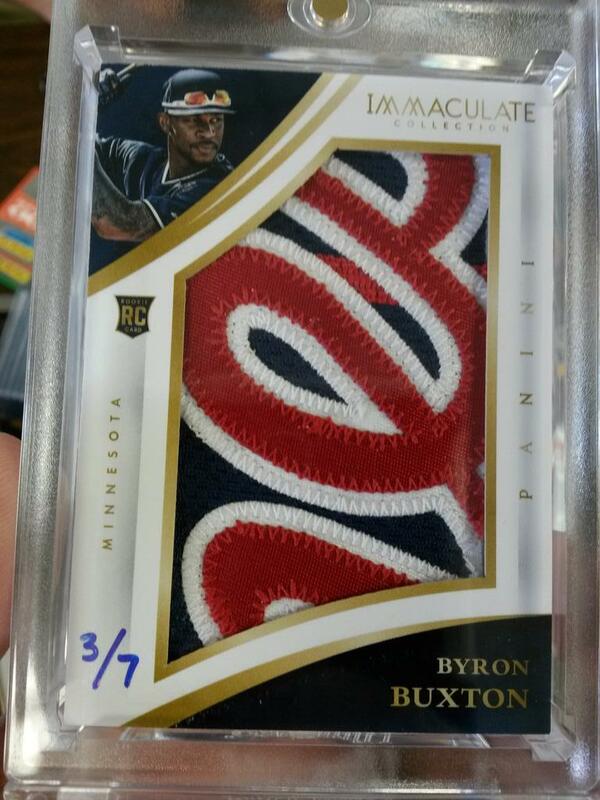 Among his most noteworthy hits are the Ty Cobb Game Used Bat Card #d/15, Byron Buxton Jumbo Jersey Patch 3/7 and another Kris Bryant Auto RC. 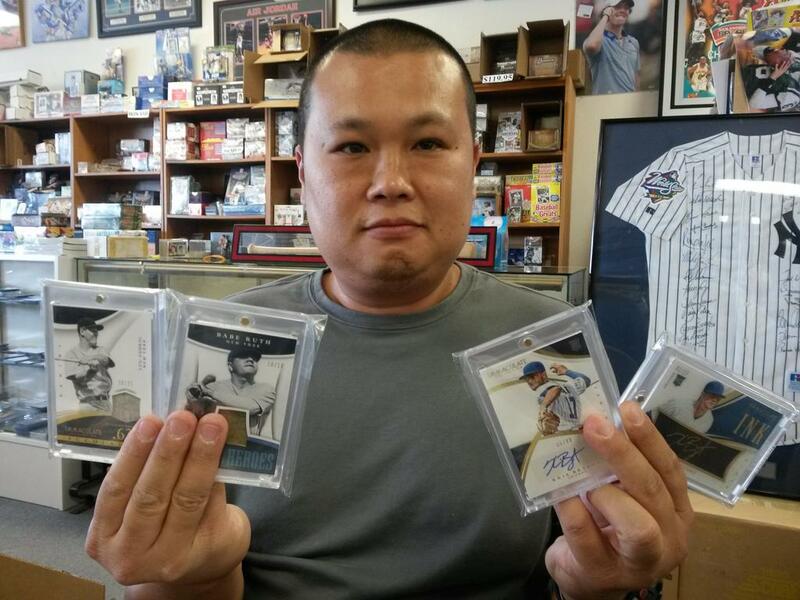 Not to be outdone, Chris P came in looking to try a couple of boxes of 2015 Immaculate Baseball. Below are some of his favorite hits. So do like Chris, Chris & Chris do. Go to Sports Cards Plus and pick your box from The BEST CASES in The Hobby at The LOWEST Price in the Galaxy. What else is new for Monday at The Super Hit Factory? How would you like to pull a Mickey Mantle Autographed Mini Bat for just $89.95? Here is your chance. Due in Monday is Historic Autographs Mini Bat Collection. Only 70 cases made. And, Mickey Mantle is not the most valuable bat that could be pulled from this product. I will pay $1000 for the Jimmie Foxx 1929 Philadelphia Athletics Team Bat to the person who pulls it in my store. O.k., the odds of pulling the Jimmie Foxx Team Bat is 1:840 but it is not impossible. And, if you don't pull the Jimmie Foxx, look at the other great possibilities below for just $89.95.